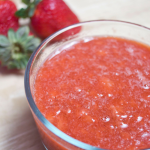 This low carb or Keto Strawberry Sauce recipe has all the rich syrupy flavor you’ve come to expect in strawberry sauce, but without all the added carbs and refined sugar. My husband and I are trying to eat healthier, including converting to a ketogenic diet. We aren’t strict “dieters”, but rather we look at this as a new way of life on our journey to becoming healthier versions of ourselves. Keto Strawberry Sauce is perfect as a topping on your low carb cheesecake, pancakes or even ice cream! 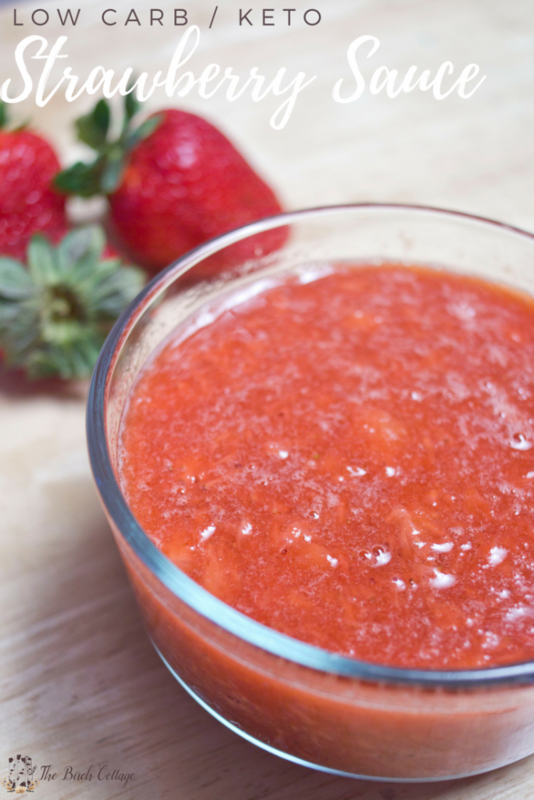 With just four simple ingredients, you can whip up a batch of this Keto strawberry sauce in a matter of minutes. Enjoy this low carb strawberry sauce without feeling guilty about all the sugar and carbs. This sauce tastes as good (if not better) than the same sauce made with sugar! Clean, hull and quarter your fresh strawberries. Place strawberries in a small sauce pan over medium low heat. Add sugar and lemon juice, stirring to combine. You can use a potato masher to smash the strawberries, if desired. Allow to cook for several minutes until the strawberries soften. Remove from heat, sprinkle on xanthan gum, stirring to combine. Let sauce cool or serve hot. I’ve just recently started experimenting with Swerve Sweetener as a sugar alternative. So far, I’ve been really pleased. It measures just like sugar and comes in granular, powdered and even a brown sugar form. 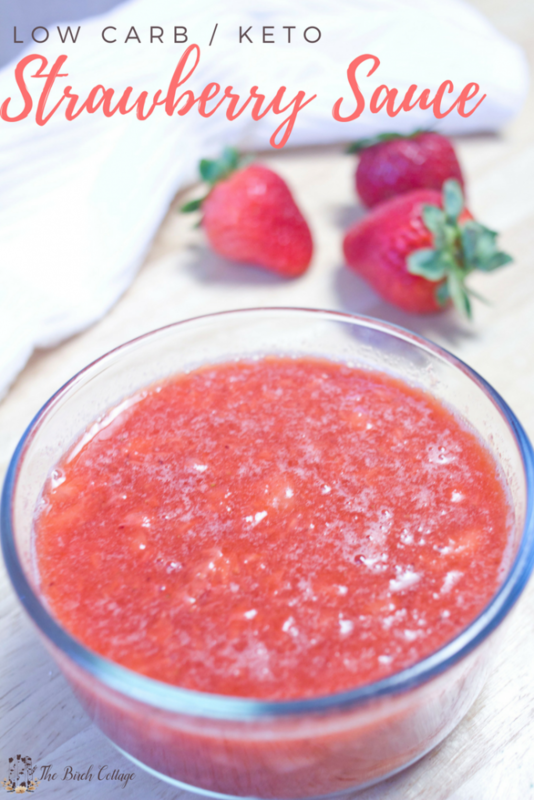 So, give this no-guilt Keto Strawberry Sauce recipe a try and let me know what you think! I bet you’ll be as pleasantly pleased as I was! And, if you’re looking for the perfect recipe to complement this Strawberry Sauce, you’ll want to be sure and try my Keto Cheesecake for the Instant Pot!